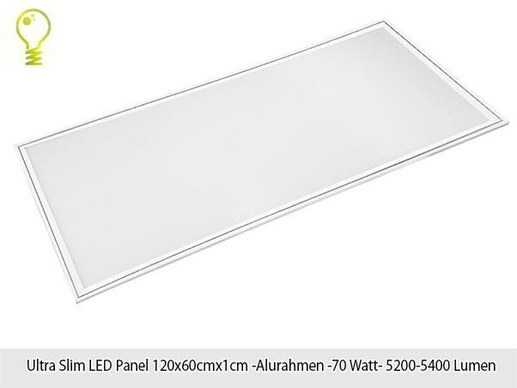 This LED panel with antibacterial and air-purifying effect is available in a size of 119.5 x 59.5 cm and the light color of 3000K , 4000K and 6000K.The panel has a luminous efficacy of 77 LM/W and is delivered in a visually attractive aluminum frame. 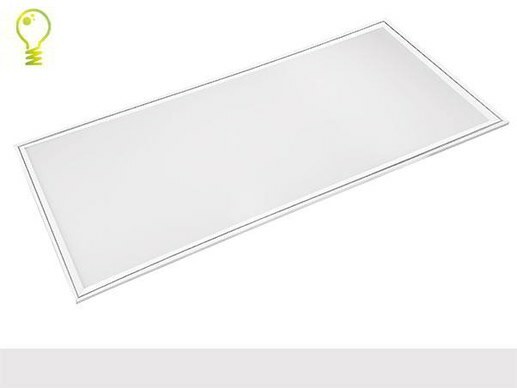 The HG Lights 120 x60cm panels are used with great success due to their odor- neutralizing, antibacterial and antiviral effect in various areas such as hospitals, hotels, nursing homes, kitchens, laboratories and the food industry. 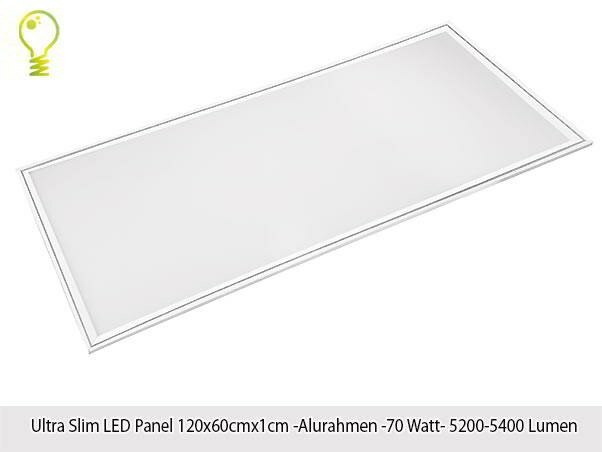 This LED panel with antibacterial and air-purifying effect is available in a size of 119.5 x 59.5 cm and the light color of 3000K , 4000K and 6000K.The panel has a luminous efficacy of 77 LM/W and is delivered in a visually attractive aluminum frame. 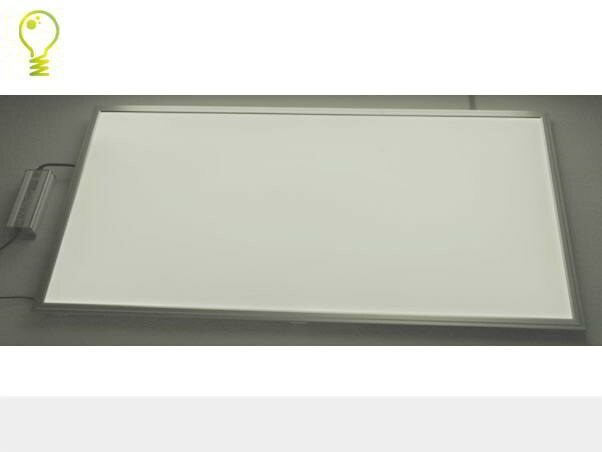 The Biomed LED panels are used with great success due to their odor- neutralizing, antibacterial and antiviral effect in various areas such as hospitals, hotels, nursing homes, kitchens, laboratories and the food industry. The coating creates an oxidation process of the germs into harmless CO2 and H20 decomposed under illumination. By circulation of air pollutants are conducted past the photo-catalytic coating of the lamp and made harmless again. HG Lights 120 x60cm based on the working principle of photocatalysis. The photocatalytic coating is internationally recognized as sterilization technology and works without the use of chemical active agents. Links and information on the topic of photocatalysis can be found below. The HG Lights 120 x60cm LED panel is 11 mm high very flat and works with a modern edge-lit LED technology ( side lighting ) . 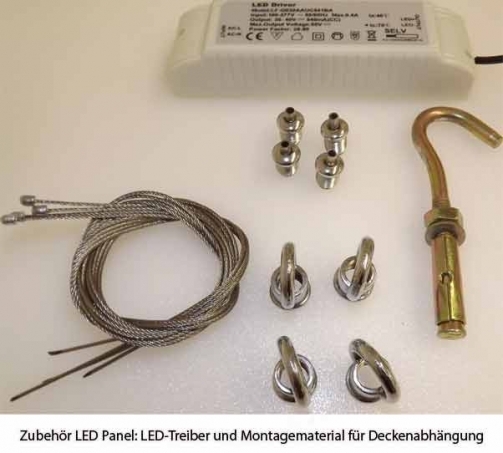 Using the accessories supplied , the LED panel can be easily installed on the wall or ceiling. You have questions about our LED retrofit product for professional use? We will help you! Preferably personally ! Please contact us at the phone number : 0049-221-9924573 during normal office hours or mobile . You can contact us by e -mail or fax request. We also call you back. time to reach 60% of luminous flux: < 3 sec. 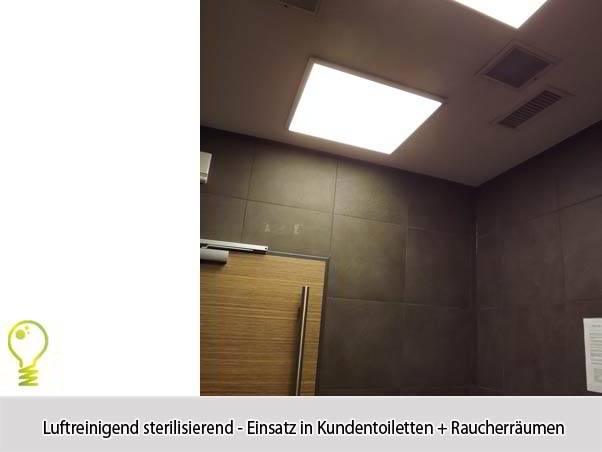 These innovative LED panels combine efficient energy saving lighting with high standards of hygiene, clean air and low bacterial load. The principle of operation is based on an internationally accepted scientific method of sterilization the photocatalysis. The degradation of harmful organic substances creates no hazardous residues. The coating is not harmful to health and is used in the food industry, (food approved), medical and cosmetics industry. air-cleaning and odor neutralizing effect in open-plan offices and smoking rooms. long product life time and virtually maintenance free. with sensitive goods especially in the food industry or medical products, which are particularly vulnerable to microbial load. In large offices with high sick leave and employees who suffer from the SICK Building Syndrome , (SBS). Purifies the bad air and provides healthier indoor air. The symptoms of SBS is documented phenomenon and related directly to the stay of people in affected buildings. Symptoms increase during the working day in intensity and disappear quickly when leaving the building again. Air-purifying LED light panels contribute to make employees more comfortable with staying in those offices and can help to reduce the sick leave of employees. With a saved day of absence an antibacterial LED panel has already paid for itself. In particular in hospitals, the microbial load is especially high. Multi-resistant hospital bacteria (MRSA) cause increasing problems. Deadly microbes in maternity wards caused scandals in the past. This leads to an increased expenditure now in increasing hygienic standards. The ANTI-MRSA LED panels combat MRSA, H1N1, SARS, bacteria, viruses, fungi and allergens. Another building block for the implementation of an effective hygiene strategy. Especially in commercial kitchens and areas with increased microbial load, (canteen kitchens and common rooms), the air-purifying LED panels are used. Elderly people are particularly at risk for infectious diseases. In medical practices, the germ-reducing LED panels are increasingly used in waiting rooms, to curb the spread of infection and to reduce the microbial load significantly. 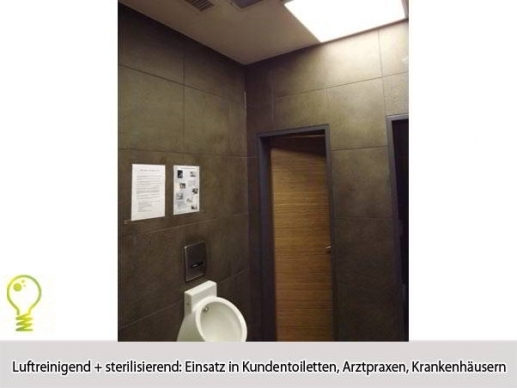 Many germicidal LED panels are installed in medical labs to provide even higher hygienic standards. In day care centers the air-purifying LED panels are used to remove odors in of the restrooms. Within the group rooms, the panels are used to prevent the spread of infections and to reduce the high sick leave with educators. The food processing industry uses germicidal LED light panels for cleaner air during production and processing and ensure high product quality. An increasing strong demand in households can be observed for our antibacterial LED panels. From simple air purification in the kitchen to the alternate air cleaner in the living room and kids room. 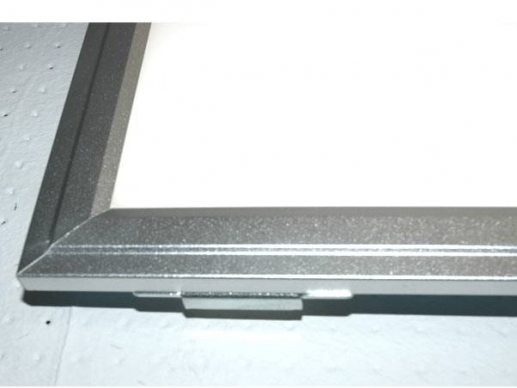 Hygienic LED light panels are often requested by allergy sufferers and people who suffer from respiratory diseases. The LED light panels can also be used to reduce the high level of air pollution (smog and particulate pollution) such as in major cities and to provide a pleasant indoor climate. In the catering hygienic deficiencies can threaten the business. 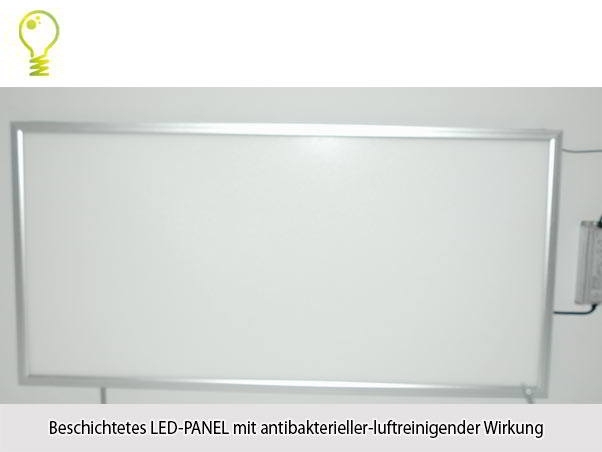 Many restaurants install these LED-Panels in their kitchens kitchen to ensure a high quality of their products. Restaurants also use the air purifying and odor-neutralizing effect of the BIOMED panels. 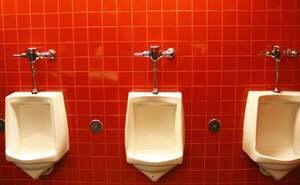 Frequent vulnerability in restaurants and pubs are the guest toilets. The positive impression of a restaurant is often affected by bad smells. Using BIOMED LED panels eliminates bad smells and improves the quality of the indoor air. In-smoking rooms, the air-purifying LED panels can be used to enable a rapid degradation of the smoke without permanent operation of power-hungry guzzling systems. The effect photocatalysis is undisputed and used in other countries more often than we do. If desired, various testing and test results from independent testing laboratories can be submitted. For example test on biocompatibility, NOX removal, skin compatibility, antimicrobial action, ANTI-MRSA activity, cytotoxicity. In this video two glas boxes are filled with cigarette smoke. In the left box there is a standard light bulb. In the right box you will see a coated light bulb. After the bulbs are switched on, the right bulb starts with the photocatalysis process immediately. After a short period of time, most of the smoke has degraded. You have questions about our air purifying LED light panels? 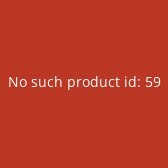 You need to have information about other models and options? We will help you! Preferably personally ! Please contact us at the phone number : 0049-221 - 9924573 during normal office hours or mobile . You can contact us by e -mail or fax request. We also call you back.